Suggest that your little princess pair blue denim dress with dark navy polka dot leggings girls for a cool, fashionable look. This getup is complemented nicely with silver sandals. 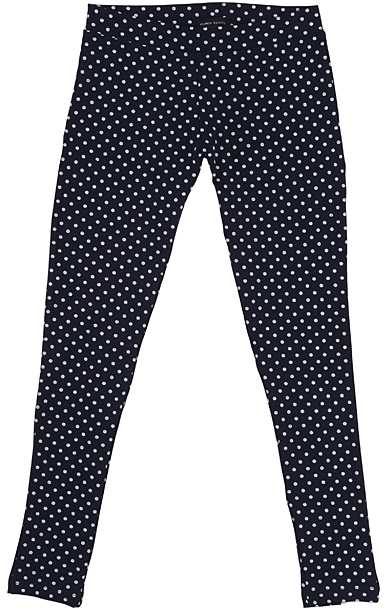 Suggest that your kid dress in grey wool dress and dark navy polka dot leggings girls for a cool, fashionable look. Black ballet flats are a good choice to round off this outfit. 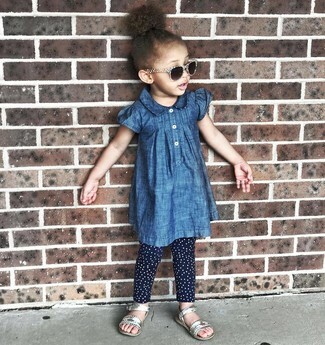 Help your little one look fashionable by suggesting that she team navy denim dress with dark navy polka dot leggings girls. This look is complemented nicely with green sneakers.